Product prices and availability are accurate as of 2018-12-04 07:43:49 EST and are subject to change. Any price and availability information displayed on http://www.amazon.com/ at the time of purchase will apply to the purchase of this product. 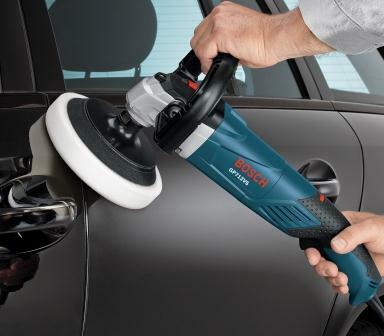 The Bosch GP712VS 7-inch metal polisher with variable speed control exudes power at a light weight. It is ideal for professional detailing, collision repair, and marine maintenance. 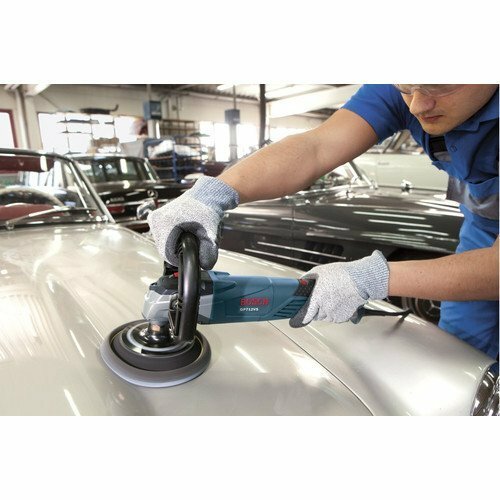 This polisher is excellent at removing deep scratching, oxidation, and imperfections in addition to being a powerful polisher. With a 12 amp motor and weighing only 6-pounds, this metal polisher is ideal for professionals and do-it-yourselfers alike. The Bosch GP712VS is lightweight and powerful. The Bosch GP712VS features a variable speed dial. 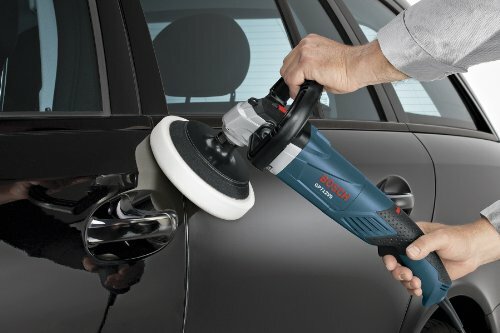 The Bosch GP712VS variable speed polisher measures 14 3/4-inches in length with a spindle range of 5/8-inches to 11-inches. The pad size is 7-inches and the no load RPM ranges from 750 to 3,000. It has 12 amp motor and is incredibly lightweight, weighing only 6-pounds. The 12 amp motor in the GP712VS has the best power-to-weight ratio in it's class, with up to 20-percent more power than similar tools in the market. Attributed to how light this tool is, the GP712VS polisher increases user comfort, efficiency, and maneuverability, making it ideal for tackling tough detailing tasks. 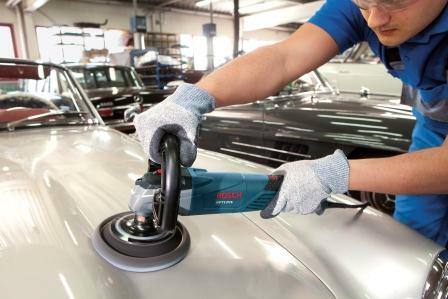 In addition to being lightweight and powerful, Bosch's GP712VS variable speed polisher offers speed variability and comfort. This variable speed polished features a soft grip rat tail design that optimizes the handle so you will always have a secure grip. It also has a D-handle, allowing the user the ability to have multiple hand positions for unmatchable comfort. In addition to the comfort features is the variable speed dial, so that you can always find the right speed for the application at hand. This speed dial allows the user to obtain optimal results the first time, every time. The variable speed of this tool ranges from 750 to 3,000 RPMs. 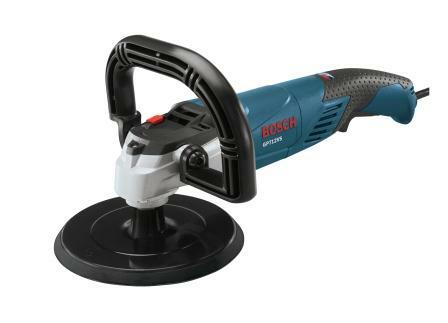 This Bosch product includes one GP712VS 7-inch metal polisher with variable speed control and one hook and loop backing pad. This tool also has an electronics package that features a soft start and re-start protection. This electronics package increases tool life. Conveniently located underneath the handle of the tool is the lock on-and-off trigger switch where the user can lock on the tool for extended application use. Finally, this variable speed polisher features a 7-inch hook and loop pad, allowing the user to always change accessories with ease.